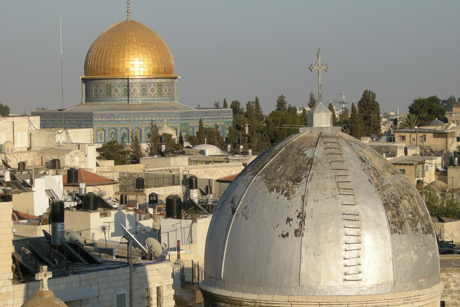 The Church of the Holy Sepulchre in Jerusalem with the Temple Mount's Dome of the Rock. Isaiah 1:24-31: Afterward you shall be called the city of righteousness, the faithful city. Zion shall be redeemed by justice, and those in her who repent, by righteousness.